M Y F I R S T B O O K , Real Fast Food, was conceived as nothing more than a little book of ideas for making yourself something nice to eat when you come in from work. It has sold over a million copies and has been constantly in print since it was first published in 1983. This is a new hardback edition published to celebrate the book's 21st anniversary. 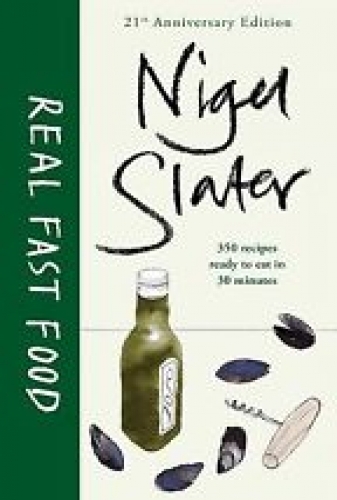 Whilst it does seem to have become a much-loved classic, it must be said that this dear little book is over twenty years old now and a few of the recipes feel a bit old fashioned. Food moves on. The idea of making yourself something to eat quickly and easily in a more contemporary style can be found in the more recently published Eat.